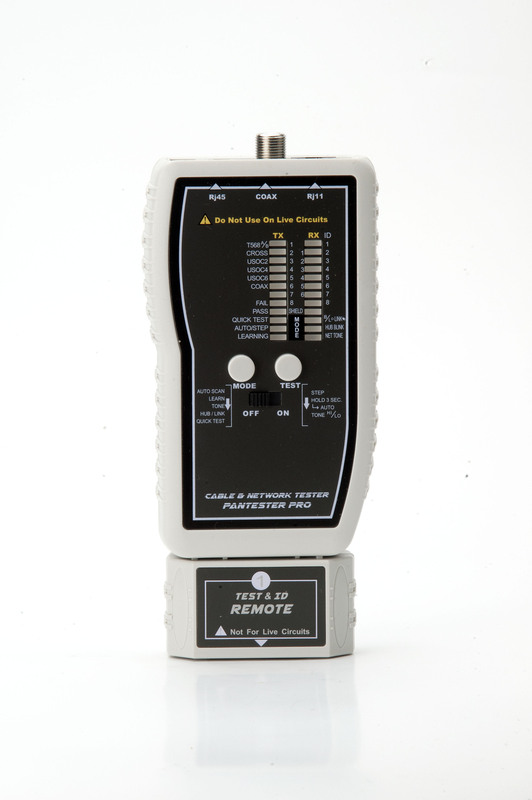 PK-102PL remote includes PoE & POTS service detector. PANTESTER PRO is an advanced multifunction pin-by-pin cable tester to verify cable integrity of Datacom, Telecom and Coaxial cables and displays the test results on the main unit. 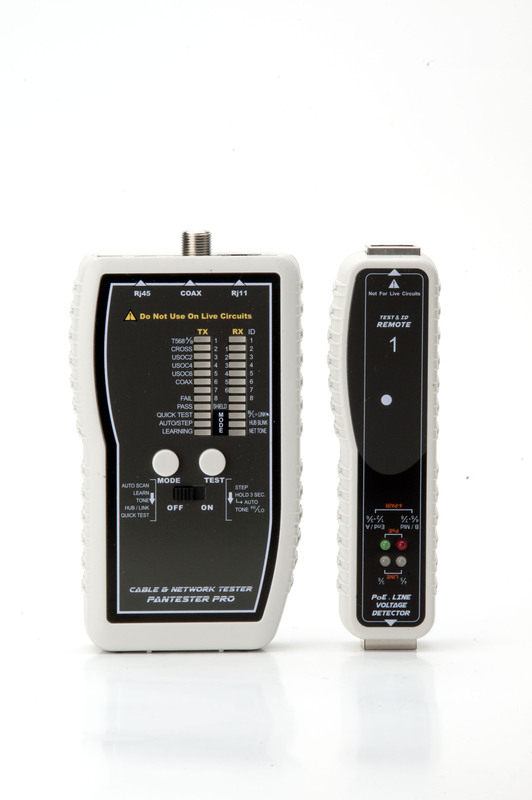 It combines the function of an advance cable and network tester, with the capability to quick test of standard VDV (Voice, Data, Video) cables with the passed cable type and ID or faulty with a different beeper sound in a second, following with an auto scan and step mode for checking detail cable pin-out configuration via easy-to-read of TX & RX LEDs display. It also includes a Learning function for testing quantity custom cables with any pinout for pass/fail a snap also with ID number and beeper sound, capable of identifying and mapping 8 locations at one time. Tone mode generates 2 selectable powerful Net tones for tracing and locating active network cables connected at HUB/Switch/Router for use with optional Net Probe (PR-06P) enables user easy to locate the target port or cable. Network test includes HUB blink which blinks the HUB/Switch port light for easy outlet and cable identification, locate corresponding port on HUB/Switch, and link light to identify an active Ethernet outlet. 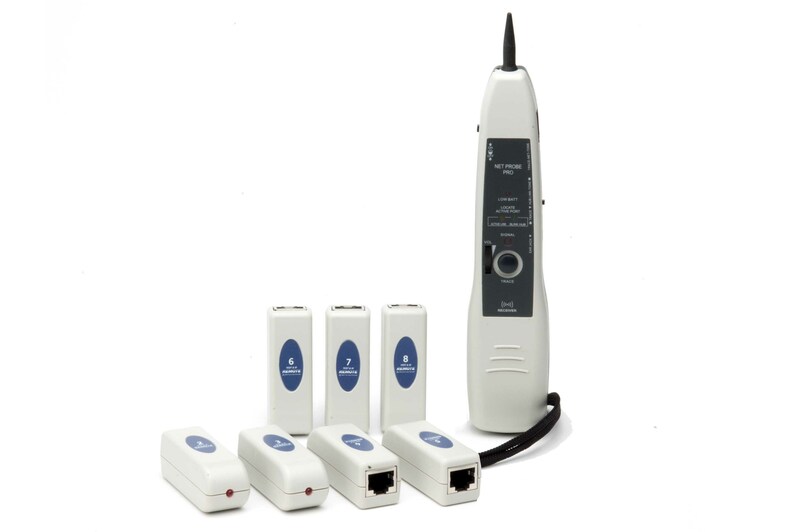 Optional PK-102PL the remote unit includes PoE and phone line voltage & polarity detector to identify RJ45 outlet for PoE existence and type PSE either end-span A, mid-span B, or ultra power over 4 pairs in your network and test phone line voltage & polarity to protect and prevent tester damage from live circuit. It also have a low-battery indicator. 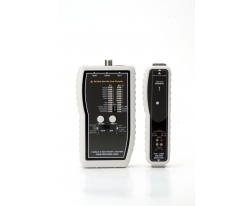 The PANTESTER PRO is an easy-to-use tester, it makes testing quick and more efficient for whether you are a contractors, installers, network datacom specialist or home networking professional. Provides clear oin-by-pin wire mapping of 1~8 pin and shield cables. Displays test results TX/RX on the main unit for easy reading. Quick test display the standard passed cable type and ID with beep sound. Auto scan and step mode for checking cable detail pin configuration. Learn mode for testing quantity custom cables include shielding for PASS/FAIL id and beeper a snap. Generates powerful Net Tone for tracing active network cables at HUB/Switch/Router easy. HUB blink for locating active network outlet corresponding port on HUB/Switch/Router. Link light to identify an outlet is an active Ethernet port. Supports up to 8 testing and ID remotes for network & telephone cables. Includes a shield-test feature and a battery-low indicator prevents misreading results. PK-102PL the remote unit includes PoE and Line voltage/polarity detector. Detects presence of PoE and type either A end-span or B mid-span or ultra over 4 pairs. Checks Line 4/5 and 3/6 voltage and polarity to prevent damage to the tester. Standard and any custom configuration cable STP, UTP, USOC2,4,6,8 Coaxial cable. One 9V standard or alkaline battery. TX/RX Light bar and LED.